The spinal cord is a complex cylinder of nerves that starts at the base of your brain and runs down the vertebral canal to the backbone. It is part of the body’s collection of nerves, called the central nervous system, along with the brain. In each of the spinal cord’s many segments lives a pair of roots that are made up of nerve fibers. These roots are referred to as the dorsal (which is towards the back) and the ventral (which is away from the back) roots. We depend on the spinal column for the main support of our body. 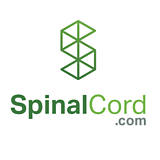 It allows us to stand upright, bend, and twist, while protecting the spinal cord from injury. 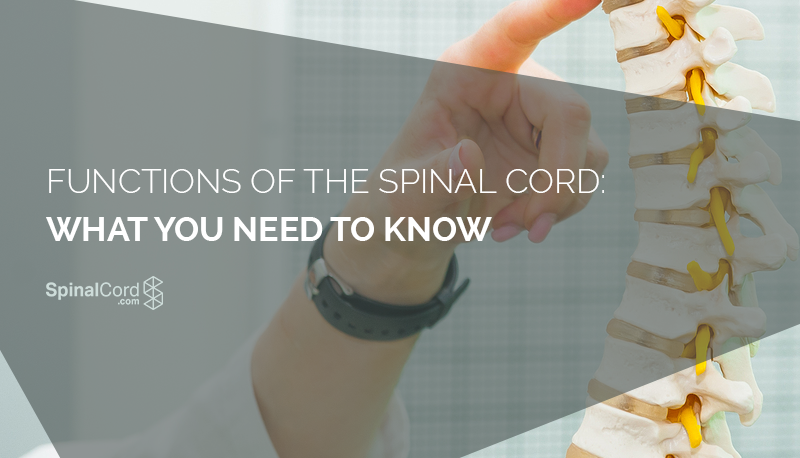 If the spinal cord is injured it often causes permanent changes in the body’s strength, sensation, and a handful of other functions due to it’s connection to the brain. Because the spinal cord is the center of the body’s functions, a person’s life can be drastically changed when an injury is severe enough. There is a lot of research being done for the treatment of spinal cord injuries and scientists are optimistic that the advances they are finding will eventually be enough to fully repair damages. 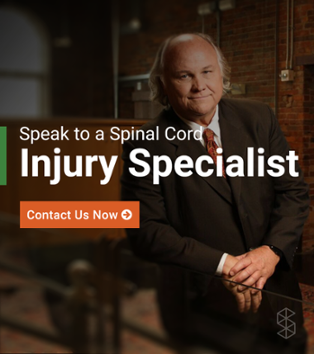 In order to understand how a spinal cord injury can affect a person’s life, you will need a good handle on the multiple functions that a spinal cord provides. Electrical communication. Electrical currents travel up and down the spinal cord, sending signals which allow different segments of the body to communicate with the brain. Walking. While a person walks, a collection of muscle groups in the legs are constantly contracting. The action of taking step after step may seem incredibly simple to us since we have been doing it all of our lives, but there are actually a lot of factors that have to be coordinated properly to allow this motion to occur. This central pattern generators in the spinal cord are made up of neurons which send signals to the muscles in the legs, making them extend or contract, and produce the alternating movements which occur when a person walks. Reflexes. Reflexes are involuntary responses resulting from stimuli involving the brain, spinal cord, and nerves of the peripheral nervous system. The spinal cord is split into grey matter (which is in the shape of a butterfly) and white matter (which is the material surrounding the grey). The white matter is made up of nerve fibers, called axons, which run up and down the length of the cord. Each group of axons carries a specific type of information it needs to communicate. Ascending tracts of axons communicate with the brain, while the descending carry signals from the brain to various muscles and glands throughout the body. The grey matter is also arranged according to it’s function. If you were to split the grey matter into two halves: each half has a dorsal horn, ventral horn, and a lateral horn. The dorsal and ventral horns supply skeletal muscle, while the lateral horn supplies cardiac and smooth muscle. Receptor: the receptor responds to an electrical signal. Afferent pathway: this pathway sends the action onto the integrating centre. Integrating centre: this is typically the nervous system and is where all of the action potentials are processed. Once the information is processed the integrating centre determines how the body should respond. Efferent pathway: the response then travels through this pathway to the effector organ. Effector organ: this organ carries out the response to all of the above. The organ responding is usually a muscle or gland in the body. The closer the injury is to the brain, the more expansive the damage. As you can probably imagine, an SCI can alter a person’s life forever. However, there are many options for treatment available and research results for a paralysis cure have never been more promising. Technology is proving to be able to assist in the communication between the brain and the limbs that have suffered from nerve damage. Research is progressing quickly, and in just 5 years we could have the means to reverse the most severe of spinal cord injuries.